The STRONG alternative to lithium disilicate. Ceramill Zolid FX Classic is a super-high translucent (SHT) zircon oxide, which is suitable for monolithic and anatomically reduced restorations in the anterior region due to its excellent optical characteristics. A coordinated staining concept of colouring liquids and stains was specially developed for Ceramill FX Classic for customisation and completion of the aesthetics. Aesthetic finalisation is carried out using the stain and glaze materials Ceramill Stain & Glaze. Monolithic restorations, in particular, are given brilliance and light dynamics with the Ceramill Stain & Glaze. With the aid of the Amann Girrbach instructions video and a detailed indication guide, Ceramill Zolid restorations can be successfully stained and customised right away. 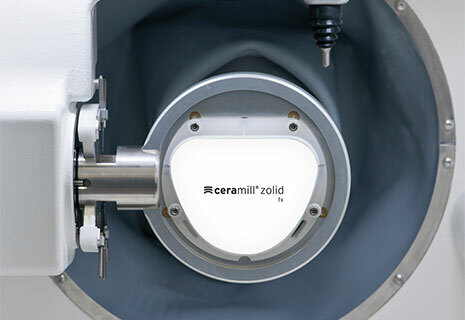 Soon also available for Ceramill Zolid FX.